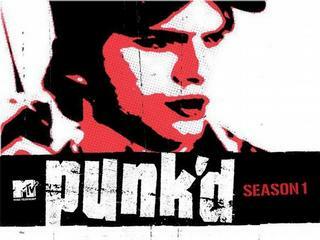 “Punked” is one of those words that started out as a slang term, but was taken to a whole new level by a pop culture moment — in this case, the MTV show Punk’d. But as quickly as it heated up in 2003, it quickly burned out, lasting just 4 years. But the company behind it, Ashton Kutcher’s Katalyst Media, may have found a way to revive the formula — take it live and online. Katalyst is teaming up with Ustream, the online streaming video service, to bring “Punk’d-style experiences” to the platform. It would seem to have all the makings of a new web hit: People getting tricked and embarrassed on video, the whole thing happening live, interactivity and, perhaps most importantly to get it off the ground, star power. As we saw this past week with Kutcher’s race to a million Twitter followers, the guy knows how to leverage himself on the web. Of course, content is still king. Kutcher and partner Jason Goldberg’s web cartoon show Blah Girls, hasn’t exactly exploded onto the scene after being unveiled at last year’s TC50. Traffic to the Blah Girl’s site does seem to be increasing nicely now, but it was in a rut for a while — and pales in comparison to say, the amount of pageviews Kutcher’s Twitter profile did just last week. And to be fair, Blah Girls is syndicated a bunch of different places, so website traffic doesn’t mean all that much for the show. But Ustream knows a bit about huge viral shows itself. It hosts the Shiba Inu Puppy Cam, which is literally just a live stream of a puffy puppies sitting there being cute. That video has attracted some 10 million viewers, according to Ustream. And Ustream also did some major streaming during President Obama’s inauguration in January. On top of their web partnership, the two sides plan to bring their videos to the iPhone in May, with a new live streaming aggregator app, taking all of these Punk’d-style live videos mobile. As I said, it sounds like a winning combo, but I would caution Kutcher and company of one thing: There is still backlash on the web. If you overexpose yourself too much, users can get turned off, just as viewers do in Hollywood. Stay focused on what works, but don’t try to do too much. And please follow up on your promise to punk Ted Turner.